Maverick Legacy Ten Pin Bowling Glass Plaques. Available in 4 sizes, 140mm, 160mm, 180mm and 200mm high. 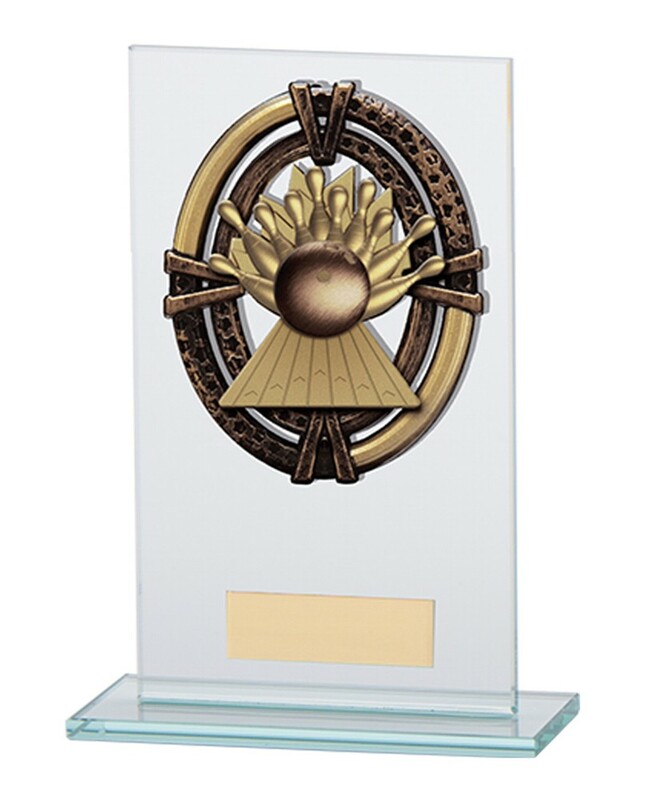 Bronze ten pin bowling scene holder with gold highlight mounted onto a 5mm thick glass plaque. A great value bowling award.